Diminish the appearance of roots and fight grey hairs between colouring with the L’Oreal Professionnel Hair Touch Up. Formulated with make-up pigments, the lightweight spray blends seamlessly with hair and delivers perfect coverage to cover up unwanted greys from one salon appointment to the next, leaving you feeling confident all day long. Suitable for all hair types, its advanced Freeze Dry Technology ensures the spray dries instantly without transfer, whilst the fine nozzle offers precise, mess-free application. Rinses easily with shampoo. Directions: Shake well. Best on dry, styled hair. Spray on your unwanted greys, blend through with your fingers for a natural looking result. 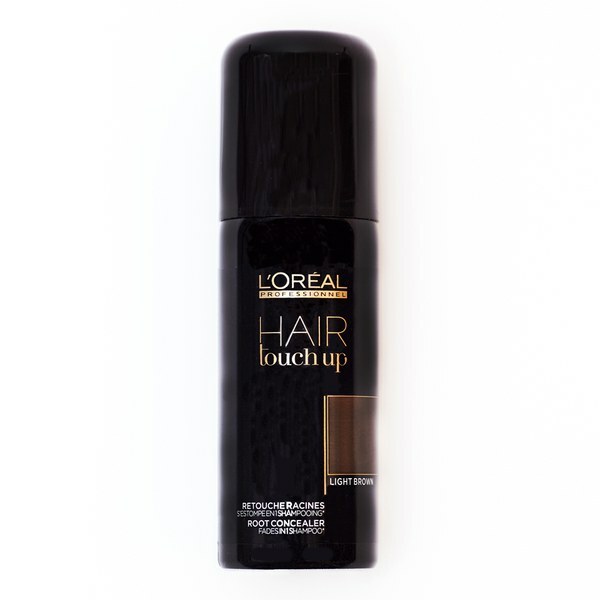 Buy L’oreal Professionnel Hair Touch Up Light Brown 75ml on-line today at Riah Hair.